This AIM listed oil opportunity could see investors board the Britannia onshore oil market, a small but hot market niche that’s now offering what could be seen as a ‘politically-motivated’ investment opportunity, and what we think house some handsome risk-reward ratios. ...and use its growing momentum to move into other strong oil assets within the UK. With levels of political hullaballoo in the UK and Europe reaching record highs, this company’s business strategy is aiming to seize hydrocarbon-bearing territory in the East Midlands and Weald Basin and deliver a resounding strike on the Brent oil market in the dawn of night. 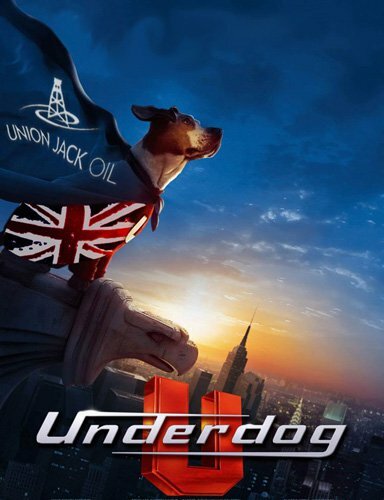 Much like the brave hearts fighting for UK interests in Parliament and in Brussels, there happens to be a commercial bulldog scrapping to secure a firm stake in the energy landscape of the UK. This plucky oiler has given us cause to sit up and take notice here at The Next Oil Rush , packing some rather alluring features which we will go through in detail in this article. Before we go too far, we should point out that this is an early stage exploration play and a speculative investment, so exercise caution if considering this stock for your portfolio and seek professional financial advice before choosing to make an investment. Already in production — this underdog is due to see one of its key wells go into full production within the next 3 months. ...but it will also help to improve the UK’s domestic oil production rate. Furthermore, this AIM listed stock is set to embark on a fully funded drilling and testing programme on its exploration assets over the coming months. ...positioning yourself as a highly efficient and productive oil company operating exclusively onshore UK could in hindsight prove to be a masterstroke strategic manoeuvre that Captain Mannering could only dream of. The overarching plan is to use the proceeds from its upcoming well, to springboard into developing its growing list of potentially productive assets in nearby areas in onshore UK — a bit of an empire-building mission Brits have always been famous for. One other neat bonus for this British bulldog, is that it is using fully conventional, no-frills, drilling techniques without too much kerfuffle or expense. Well calculated risks can carry ample rewards for those brave enough to put their money where their mouth is – although of course success is no guarantee in oil investing. The British Government took a risk by having an EU referendum, looking for political capital as a reward. 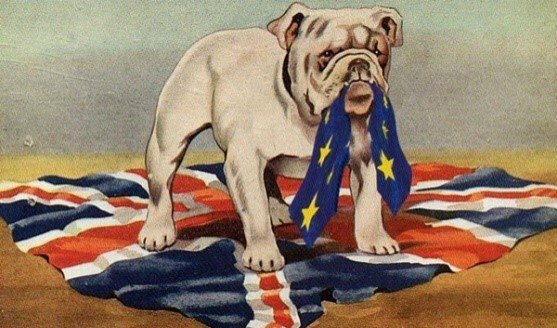 The British people took a risk by voting ‘Brexit’, in search of sovereignty and the warm-and-fuzzy feeling of giving the Establishment a kicking. So just as with politics, so too in small-cap oil companies. This company has taken a risk of buying into 11% of an oil well that’s about to go into full-scale production, and the reward is an initial £1 million in cash flow for this micro capped stock. Small-cap oil companies must take calculated risks in order to reap significant rewards which means plenty of diligence and a master-plan are required. All seasoned oil investors realise that a delicate mix of risk and reward is part and parcel of any potential oil opportunity on the London Stock Exchange — risks must be weighed carefully while potential rewards must have realistic expectations. With that in mind, AIM quoted Union Jack Oil (AIM: UJO) has earmarked a commercial manoeuvre to be executed with military precision in the coming months. UJO is on course to secure a steady and growing oil flow rate as part of a JV partnership. The first thing that struck us when doing our due diligence on UJO is the location of its assets. UJO is conducting oil production and exploration all from conventional onshore UK assets. 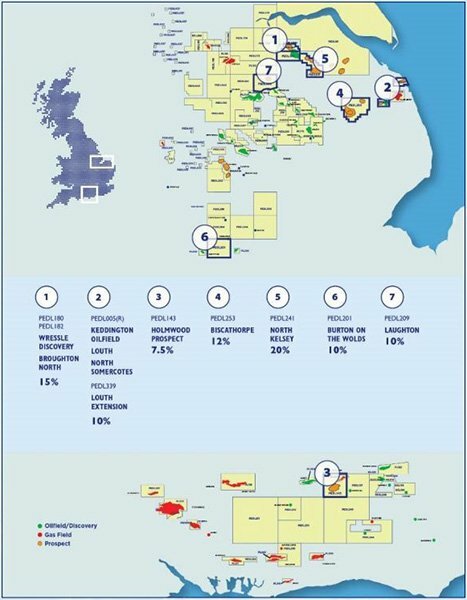 As you can see, UJO has 7 distinct projects in total spread across two regions of the UK. One is already in production (Keddington) and one is expected to come online within the next 3 months (Wressle). 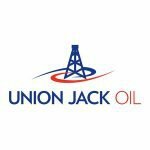 Further out, UJO plans to maximise its returns for shareholders by drilling and hopefully developing its most highly oil-bearing prospects first and foremost — Biscathorpe, Holmwood and Broughton North. Just last month, UJO topped up its 8% stake in Wressle to 11.67% in exchange for £600,000. The acquisition was funded via a capital raising which leaves UJO with over £2 million in cash and fully-funded to drill Biscathorpe, Holmwood and Broughton North. The combination of near term production and follow-on exploration opportunities could mean UJO will set off on a gradual path of expansion once its first Wressle mission is accomplished. UJO has confirmed 2P reserves for the Ashover Grit and Wingfield Flags horizons within Wressle, in addition to contingent resources in the Penistone Flags zone and prospective resources for Broughton North. In tandem with its JV partner, UJO is now waiting for planning permission approvals from local authorities, expected to be received in the near future. The granting of production approvals will be a significant price catalyst in its own right given this is the last permitting stage before the taps are cracked open. UJO and its partners plan to develop its slice of the East Midlands oil province and prove up a cluster-style project that is incrementally growing on the back of its own oil sales revenues. After Wressle, UJO has Broughton North waiting in the wings to be drilled given its close proximity to Wressle. There is also Holmwood and Biscathorpe — two relatively low-risk prospects which are on track for drilling as soon as reasonably possible in 2017. Significant developments at these two prospects could quickly be accompanied by North Kelsey and Louth , depending on UJO’s ability to find partners. Considering the perked-up activity in oil exploration, especially in the UK, we think future updates on Holmwood and Biscathorpe could have significant revaluation potential. Keep in mind though that any re-rate is speculative at this stage, so investors should do their own research and take all public information into account – not just what you read in this article – before making an investment decision. One of the most important facts for investors is that UJO is fully funded to participate in the first wells at Holmwood and Biscathorpe, which together account for more than 50% of net prospective resources across UJO’s portfolio in the UK. The Holmwood oil licence area is 7.5 miles west of Horse Hill within the Weald Basin, which oil explorer UK Oil & Gas (UKOG) claims could hold 9.2 billion barrels of oil. Another junior in the area, Europa, estimates Holmwood to contain around 5.6 million barrels with a geological chance of success estimated at 33%. For oilers in Saudi Arabia or Texas, these may not be stellar numbers. But when considering that all of UJO’s production is from onshore UK — as part of a broader mission-plan which requires initial small-scale production to get revenues flowing — UJO’s small portfolio is very straightforward and geologically simple to accomplish. UJO’s mission plan is now set, and we think there is a good chance of UJO striking a hit on its targets, and therefore helping to raise its meagre £6 million market cap. According to consensus forecasts UJO’s risked NAV is £0.75 per share — a 275% premium to today’s market price. However please note that analyst price targets are based on a number of assumptions that may not eventuate – so don’t invest solely on price targets alone. One of the first things we like to do when evaluating a potential stock, is to wade into the financial metrics to see how our stock idea could deliver on its hype. In other words, have a look for any factors that could convince us to move from pencilling in a stock, to penning a share purchase. If we look at UJO’s estimated production rate, production cost and take into account its joint-venture commitments, UJO is projected to achieve revenues of around £700,000 per year just from the proceeds received from Wressle and Keddington. Wressle is expected to produce around 500 barrels gross per day at an estimated cost of approximately $20 per barrel. If we assume Brent crude prices will remain close their long-term average of around $55 per barrel, UJO is participating in an oil exploration project that will produce around 180,000 barrels per year gross, and generating around $10 million per year. UJO’s 11% stake in Wressle means it can realistically expect to generate somewhere around £700,000 in initial revenue, and around £330,000 in profit for year-end 2017. In UJO’s case, the prevailing price of Brent crude oil is helping to make UK oil production more economically viable by the day. The weakness of the British pound is another helpful factor for UJO because it makes its oil sales relatively cheaper and reduces the UK’s import requirement. If we look at the broader oil market, there is some cheer from the fact that Brent crude prices are trading at their highest levels in over a year, and seem to be consolidating after several years of declines. The macroeconomic picture is firming in UJO’s favour as a weaker pound, industrial resurgence in Asia and broad improvements in economic data are further underscored by the most recent factor to affect UK-based companies: Brexit. 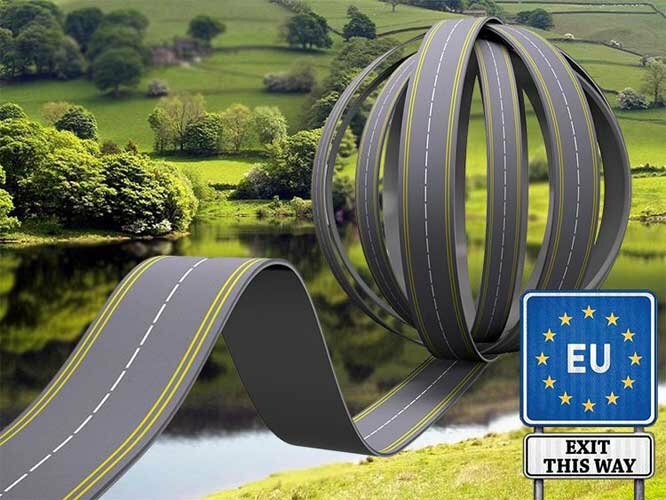 Brexit has cast serious doubts relating to the UK’s long-term energy security and raised the possibility of the UK having to source more of its energy from home. That’s music to the ears of many Brexit campaigners, and so too for UJO as a company. It’s a long and winding road, and there’s a long goodbye at the end. This political background provides UJO with the perfect opportunity to establish a firm foothold in the UK’s domestic energy market, and thereby lead by example in demonstrating why British companies needn’t baulk at European separation, but could instead monetise the living daylights out of it. One kicker card up this oiler’s sleeve is a conventional one for any company searching for rapid market traction: unconventional oil exploration. UJO has an option to pursue its PEDL201 prospect in the East Midlands, and targeting plumper flow rates compared to its conventional portfolio. Analysts see a further 30% premium applicable to UJO should it successfully proceed with PEDL201. The good news is that UK government officials have been amenable to approving fracking ( demonstrated by recent approvals for Cuadrilla ), and continue to support it. What better way to set sail away from Europe than with your very own Brent? Earlier this year on June 23 rd 2016, the British people unexpectedly voted for the UK to leave the EU. The ramifications have been many, and yet the answers to how a Brexit will actually proceed have been few. The UK’s energy security is a topic that has hardly been mentioned amongst all the Marmite scare stories . Amidst this political squabble with potentially huge economic consequences is an oil junior with existing onshore production and the starting gun loaded on its next oil prospect — Wressle in the East Midlands. 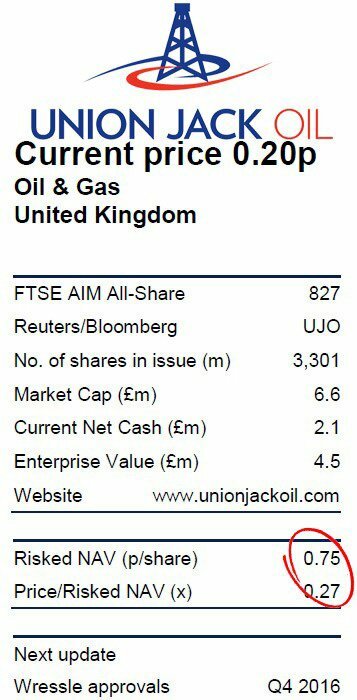 Having carefully timed its asset acquisitions, and exploration schedule, UJO is now on a launch pad to raising its lowly £6 million market cap and will hopefully see a re-rating of its 0.20p share price much like other local oil companies such as UKOG have managed to do in recent months. However, as with all tiny oil companies, a successful investment is no guarantee. Those considering this stock should seek financial advice before making an investment. When all things are considered, we are asking ourselves only one question here at The Next Oil Rush: Was there ever a better time to buy British, than this? ...and this Underdog is going places.